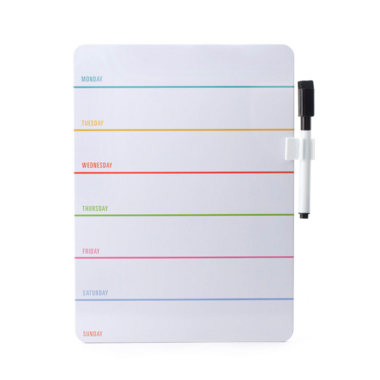 Organize chores, errands, activities, and more with the Kikkerland Daily Dry Erase Board. This dry erase board is printed with a weekly grid, so you an keep your plans organized. Marker included.